Overview: For both individuals and for families, the experience of economic hardship places greater strains on the quality of life in many aspects. The ability to obtain adequate shelter, nutrition, clothing and education are directly tied to one’s economic situation. 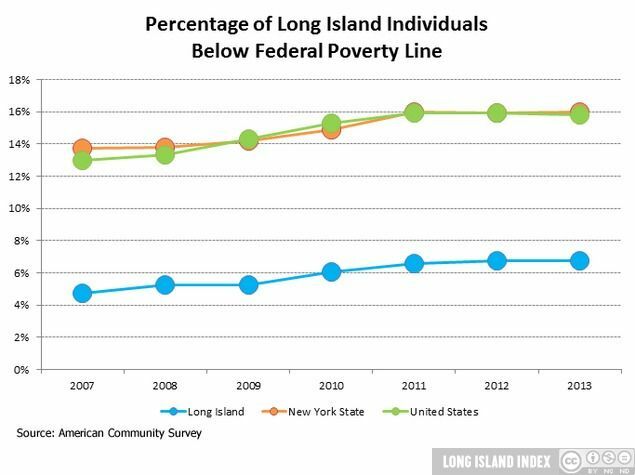 On Long Island, as in most areas of the country, there has been a steep rise in rates of poverty as well as number of families requiring Food Stamps. 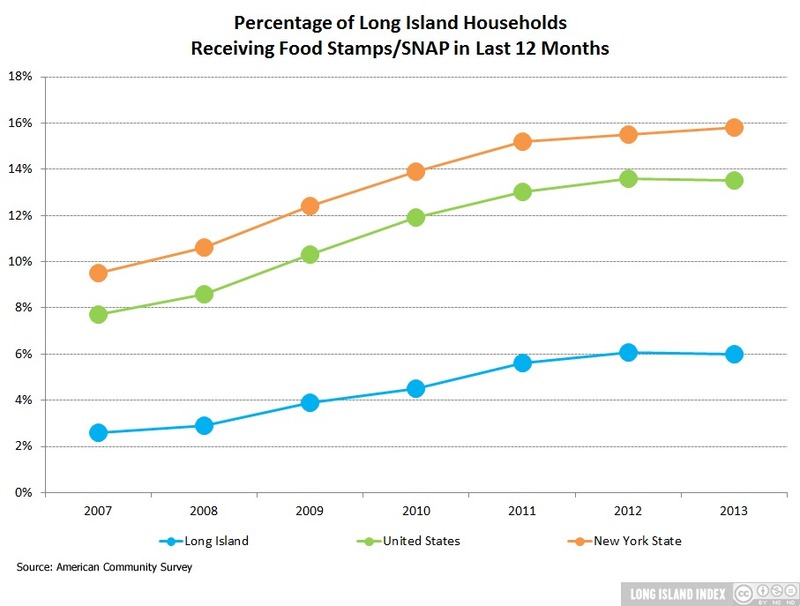 Sharp rise in reliance on food stamps begins to level off.